Happy Monday Everyone! 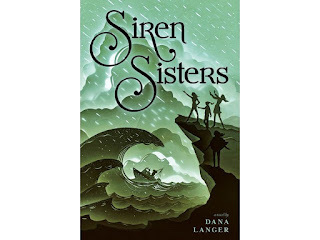 Today I'm excited to have debut author Dana Langer here to share about her MG fantasy SIREN SISTERS. This one really appeals to be because of the fantasy, of course, but also because it sounds like it also deals with family relationships, friendships, and the challenges of growing up in the middle grade years. A soon-to-be siren finds herself responsible for the lives of her sisters—and the fisherman they curse—in this haunting debut novel that Kirkus calls "an exciting fantasy with a heart-stopping ending by an author to watch." Lolly Salt has three beautiful sisters. When they’re not in school or running their small town’s diner, they’re secretly luring ships to their doom from the cliffs of Starbridge Cove, Maine. With alluring voices that twelve-year-old Lolly has yet to grow into (not that she wants to anyway) the Salt sisters do the work mandated by the Sea Witch, a glamorously frightening figure determined to keep the girls under her control. With their mother dead after a terrible car crash, and their father drowning in grief, the sisters carry on with their lives and duties…until a local sea captain gets suspicious about the shipwrecks. The idea for Siren Sisters came from a combination of my own memories of growing up with my sister and cousins, along with teaching The Odyssey, and also listening to the voices of my students. I knew I wanted to write a contemporary story based in classical mythology, but, rather than focusing on the traditional gods and heroes, I wanted to center the girls and monsters. reading and re-reading a list of middle grade books that I thought would make useful “mentor texts.” Teaching Writing through Children’s Literature defines these books as models that serve to “ignite the writer’s imagination and determination to create high quality work” (Dorfmann and Capelli 3). 1) The Riverman, by Aaron Starmer: I love the moral ambiguity in this story and that it delves into darker territory without being exploitative. The plot is incredibly engaging, twisty, and exciting, and it doesn’t feel derivative of anything else. I actually have a pretty short attention span, and I was wholly absorbed in this book from start to finish. I never had that Oh, I see where this is going. . .feeling. Every page mattered, and I was constantly afraid for what might happen next! 2) Akata Witch, by Nnedi Okorafor: I love this story for its heroine who often feels like an outsider but is still strong and funny and connected to her family. I also love her sweet, respectful relationship with her best friend and the seamless way the magic of the story is woven into a realistic setting and serves as a subtle metaphor for adolescence and other kinds of power. 3) Doll Bones, by Holly Black: I love the very real concerns of the characters in this book and the fact that the book never condescends to them. 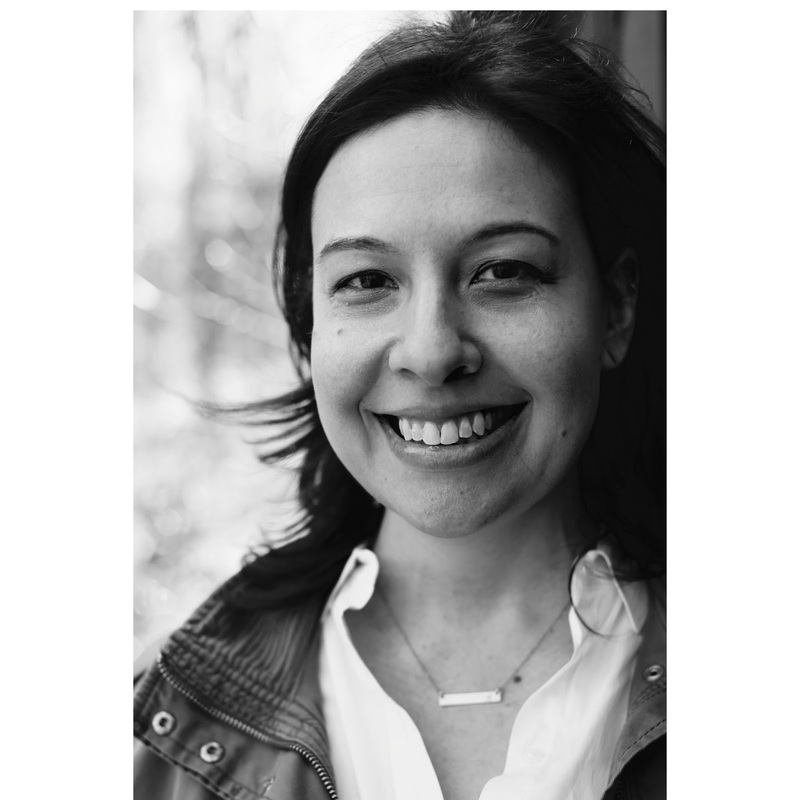 Holly Black takes the fears and anxieties of the middle school years seriously and honors her characters despite their youth and their flaws. You feel like you’re right along for the adventure with them, not watching from a distance. And you want to be there. I also like the ambiguity in this story and the way that Black trusts the intelligence of her readers. These are just a few of the texts that served as mentors for Siren Sisters. Which texts are you using to inspire your own works in progress? 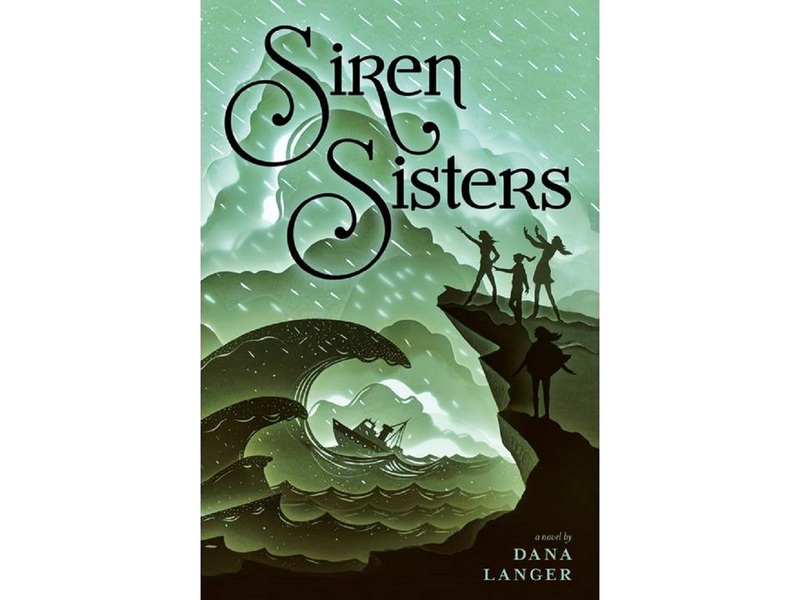 Dana is generously offering an ARC of SIREN SISTERS for a giveaway. To enter, all you need to do is be a follower anyway you want and leave a comment through February 18th. If your e-mail is not on your Google Profile, you must leave it in the comments to enter the contest. If you mention this contest on Twitter, Facebook, or your blog, mention this in the comments and I'll give you an extra entry. You must be 13 or older to enter. The giveaway is for U.S. and Canada. Marvelous Middle Grade Monday was started by Shannon Messenger. You can find the participating blogs on her blog. What an interesting story idea. Thanks for the list of inspirational books. I always love finding out what helps inspire authors. I like how Dana used other books as inspiration to write her own. So important for authors to keep reading, especially in the level they are writing for. Best of luck with your intriguing new book, Dana. Dana's book sounds wonderful! I loved hearing what books inspired her in capturing the tone and voice of this story~ in terms of mentor texts, for me those are books that I've read many times that always inspire me with their writing and characters, so I'll read them again, no matter what genre of book I'm working on--examples that pop into my mind are Anne Ursu's BREADCRUMBS and THE REAL BOY and the Gaither girls books by Rita Williams-Garcia. Those must be newer books as I've not read any of them. Congratulations, Dana! Hope you've made a timeless book. I'd never heard the term "mentor texts", but like the other commenters, was very interested to read of those books! "Mentor texts." That's a new one. It sounds very academic! I always just say "books that inspired me while I was writing," but mentor texts sounds SO much better. Love that cover, and the idea of mentor texts! I've won recently and am also behind on my TBR pile, so we should problem let this one go to someone else. Thanks for the post, Natalie! Interesting premise from the siren point of view. I've read Doll Bones, but not the other 2. Very interesting premise and I really love the cover. I'm constantly reading books for inspiration and will have to check out the ones that you suggested. As a kid, I always loved mermaids, so I love the premise of your novel, Dana. Thanks, Natalie, for another interesting guest post and giveaway. Mentor texts, eh? I've never heard of that term, but I like the idea of it. Good to have something to aim for and hopefully better. Like the idea of the book, too. Congrats, Dana! Congrats Dana and I love mermaids and sirens! Dana, very interesting talking about mentors for Siren Sisters. I read a lot and am surely influenced by the writing of others in my genres. Your book sounds interesting. Hi Natalie! Yes, blogsville is quiet! Maybe they're getting ready for the A-Z!! Nice to meet you, Dana! Congratulations! Sounds like an intriguing story. Wish you well with the book. Natalie, appreciate you hosting Dana today. You keep us up to date and in the loop. :) I'll pass on the giveaway this time. Have a good week! What an interesting premise. Congrats to Dana! I do admire books based in mythology. This sounds like a good one. Please let someone else win. I'm buried just not. Congratulations Dana! This sounds like a fascinating read and it was nice of you to include other inspirational stories! Thanks for hosting Dana, Natalie! Such a systematic approach to book writing! Your book sounds very unique and will be fun to read. I love Holly Black's writing too so I'll have to check out Doll Bones. Thanks for sharing your writing process. I shared on my tumblr. I've read DOLL BONES before. Great book. It's great to meet Dana! I love the sound of this story. Major congrats on your debut! Wow, Dana Langer, such a unique premise. It must be tricky making the sisters sympathetic when they're killing people on boats! The Siren Sisters sounds like an amazing read! I LOVE Akata Witch! Excellent book to be inspired by. My daughter and I will def. be checking this one out. P.S. That cover is gorgeous.